Laura has been dabbling in photography for close to 25 years. 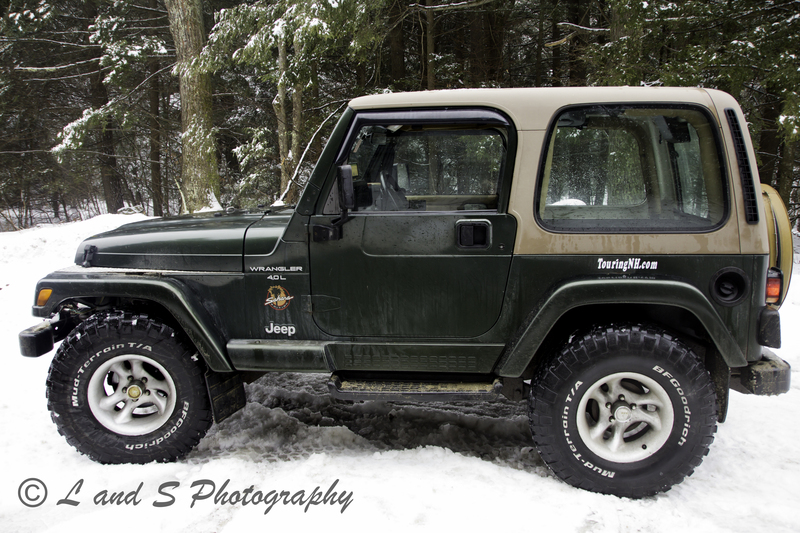 When she heads out for the day, she grabs her Canon, jumps in her jeep and goes. She has photographed all over New England, Florida and quite a bit of Nova Scotia. These days she has decided to stick closer to home and photograph the beautiful state of New Hampshire. Thanks Laurie…I can’t wait to do more!! Alot of stories about Greenville. Alot of history. The parade at midnight, the old trussel, the Country Mile, Mills. Once had two hardware stores downtown, a shoe store, Depot Restraunt, the cider mill, plastic shop. The Cider mill is the second largest producer of vinegar in north America. Alot of history. Hi Charlie. I tried to get a good shot of the old trussel but couldn’t get over the snow bank. I’m hoping to get back in the spring and get a picture of it. It was kind of sad to drive down Main St and see all the empty store fronts. And I’ve been to the Country Mile many times! If you go just past the trussel on rt 31 and take a right-left on adams hill road about 100 yards up on the right is the old track trail. walk it to 31 and you can take a picture right from the old stantions looking across the river. gotta go, work at Pilgrim foods, black ice on the roads right now. Thanks Charlie! I’ll check that out! Sometimes I think I need a guide when I go to towns. Be safe on the roads! Love to see some of the places we’ve been to 15 to 25 yrs ago!!! Never been there in Winter though. Hope it brought back great memories! Oh Yeah. If time and budget allow we surely visit New England again!!!! New Hampshire is on my to-visit list. Looks gorgeous. Thank you. There is so much to do and see, you’ll love it when you get here. What a great idea. We often forget to enjoy what is in our own back yard. Thank you Wendy. I have been touring NH for over 2 years now and have learned some amazing things about our great state.